There are so many hosting companies with crazy deals in the market, so, choosing a great web host with best user support is little trickier. Once caught up in a wrong hand, it is very difficult to move your business elsewhere. Therefore, it is vital to “get it right the first time” with the great hosting company. In order to help you choosing the great hosting company with the best user support, we have introduced an imaginary concept of Host Meter. Host Meter is a virtual ranking tool to evaluate user support services of your web hosting provider on a scale of 100 points. Closer to 100 Host Meter rankings, indicates excellent user support provided by your hosting company. Looking to add Host Meter rank of your hosting company? Evaluate their support on Host Meter scale and Tweet me your “Host Meter Ranking″ results. To evaluate Host Meter ranking of your hosting provider, follow this 3 points checklist. Each of this checklist point will indicate Host Meter ranking of your hosting company. How old is this company? If any host claims to offer 24/7 support, just test them out by emailing at midnight or Sunday mornings. Call them or initiate chat session at odd times to see whether they are really available or not. Evaluate support staff availability and add points in HostMeter as follows. Determine company’s social media appearance on various social media platforms like Google+, Facebook, Twitter etc. If your host provides both of above guarantees, you can add 10 points. When you really need immediate attention of your host, you would not like to wait. The waiting time to get live-chat or phone support kills the purpose of instant assistance. Initiate the chat session or call them in peak business hours to determine their response time. 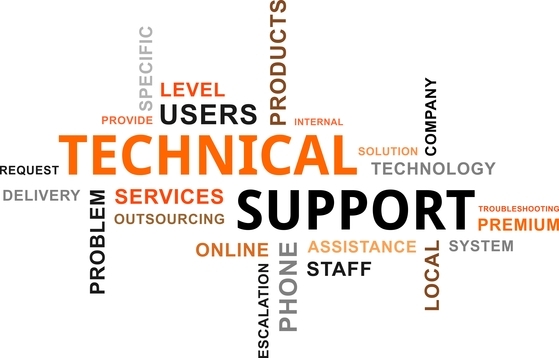 Evaluate phone support whether they can actually resolve your issues over phone. Ask them some questions according to your hosting requirement and monitor how efficiently they reply. Similarly, evaluate LiveChat support and monitor how efficiently they reply. Go through all reviews, customer testimonials, forums and recommendations of the webhost you wish to evaluate. You will have to be watchful here, most of reviews or comparisons are affiliate linked. Trust neutral third party reviews instead of paid reviews. Quick questions to evaluate their technical skills. Since this is the most important criterion, weightage is 20 points. The only way to assess technical expertise is asking Questions to support staff. You’ll have smooth web hosting journey only If your web host has Skilled and Experienced Support team. Prepare your list of questions, starting from simple questions increase the difficulty level as you receive satisfactory replies. Following are some reference questions. What are the supported PHP and MySQL version in Linux server? Do you provide Dedicated application pool and Full trust Level in Windows shared hosting? What is the IIS version installed in your Windows web server? What is amount of private memory assigned to website in Shared Hosting? What is hardware configuration of your HyperV server? What is port connectivity of VPS? Which virtualization technology you are using? Hosting support service is one of the most crucial aspects when making your web hosting decision. To choose the best host you are required to do lots of research over the Internet. Our HostMeter concept will help you to find the best hosting providers with top notch hosting support.